This oval port (with a lower stepped rosette) . 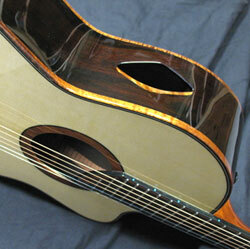 Each one is done specifically for the individual guitar and will vary a bit. 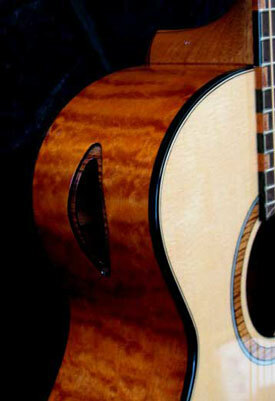 This guitar has a Koa shadow that matches rosette, bindings, and fingerboard end.